Sweet, tangy and citrusy. Our sweet and sour sauce is a blend of tomatoes, lemon peels, gingers, vinegars. Succulent king prawns in Sweet & Sour sauce. Crispy battered king prawns with a side of Sweet & Sour sauce dip. 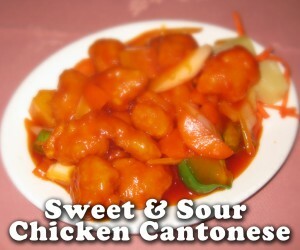 Crispy, lightly battered chicken breat diced wok-fried in sweet and sour sauce with peppers, pineapples and onions. A Cantonese cuisine favourite. Chicken breast diced in round, crispy fried thick batter. Served with a side of Sweet & Sour sauce for dipping. Lightly battered crispy pork stir wok stir fried in Sweet & Sour, with peppers, onions and pineapples.